Sandwich is the oldest of the Cape's fifteen towns It was settled in 1637 by a group of families from Saugus, Plymouth, and Duxbury. The town became world-famous for its artglass: some opalescent, other pieces laced with strands of brilliant color, still others so delicate as to rival the finest Venetian examples. Jarves' insistence on quality and beauty even influenced the making of the company's main product, pressed glass. The so-called lace glass has a sheen like silver, and appears to be covered with frosty stars. Falmouth is one of the Cape's oldest resort towns. The island of Martha's Vineyard is plainly visible from any harbor in Falmouth, being just a few miles across the Vineyard Sound. For this reason, the harbor is busy with ferry boats going back and forth. The historic village square is charming. Woods Hole, home of the world-famous Woods Hole Oceanographic Institute, is a fun walk and has a slightly more bohemian flavor than the rest of Falmouth. 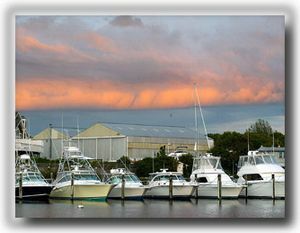 Chatham is located at the southeast tip of Massachusetts and halfway down the 75 mile-long Cape Cod peninsula. If the Cape is viewed as a bent arm, Chatham is at the elbow. To the east is the open Atlantic Ocean, to the South is the calmer and warmer Nantucket Sound, and to the north is the protected embayment of Pleasant Bay. 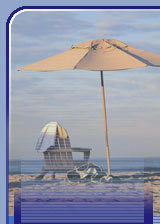 In addition to its beach culture Chatham defines itself as a true 'walking town.' It's Main St. is cohesively laid out so that once the car is parked everthing that downtown has to offer is available within easy strolling distance. 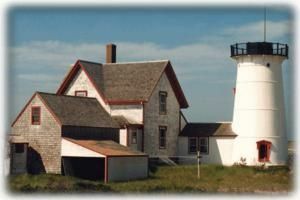 Yet there are enought intriguing shops and eateries to suit the whole family for an entire day off the beach.The Chatham Lighthouse and Lighthouse Beach,the Fish Pier, Seaside Links golf course, and Kate Gould Park's Friday night band concerts are all not to be missed. 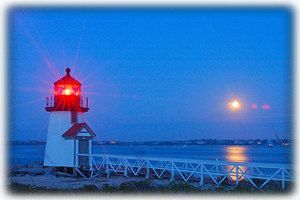 Festivities abound year-round too, including the Chatham Maritime Festival, our famous Fourth of July Parade, the Festival of Arts, Christmas by the Sea, and Chatham First Night Celebration, topped off with a fireworks display over Oyster Pond, which draws crowds from all over the Cape. 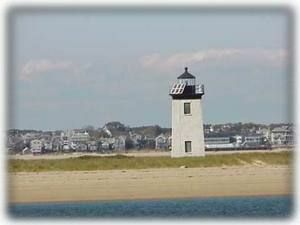 Provincetown - As a place to visit Provincetown is popular for many reasons. Want to go whale watching? The MacMillan Wharf is the place to start. Want to people watch? The human parade up and down bustling Commercial Street is an endless opportunity to satisfy the urge. Want to climb higher than anywhere else on Cape Cod and then indulge in some history? Climb the Pilgrim Monument, rising 252 feet above the 100 foot hill it sits on. Its cornerstone was laid in 1907 as President Teddy Roosevelt looked on and President Taft attended its dedication in 1910. For all the details and more of Provincetown's history, the excellent Provincetown Museum is at the base of the monument. Exhibits range from memorabila of Adm. Donald MacMillan's Arctic expeditions to the history of Provincetown-Boston Airlines, the first commuter airline in the country, founded in 1949 by John C. VanArsdale. A large part of Provincetown lies in the National Seashore where there is a visitors' center and miles of scenic bike trails. Martha's Vineyard is a picturesque New England island with captains' houses and lighthouses, white picket fences and ice-cream shops, an authentic fishing village and a Native American community, miles of pristine beaches and rolling farmland. Visit the Vineyard to bicycle the shaded paths hugging the coastline. Admire the regal sea captains' houses in Edgartown, and stop by the Edgartown Scrimshaw Gallery for a memento of the sea. Stroll down Circuit Avenue in Oak Bluffs with a Mad Martha's ice-cream cone and then ride the Flying Horses Carousel, said to be the oldest working carousel in the country. Don't miss the cheerful "gingerbread" cottages behind Circuit Avenue, where the echoes of 19th-century revival meetings still ring out from the imposing Tabernacle. 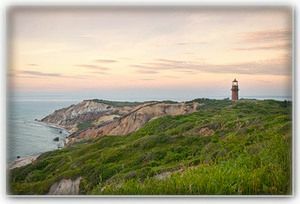 Marvel at the red-clay cliffs of Gay Head, now known as Aquinnah, a National Historic Landmark and home to the Wampanoag Tribe. Nantucket is at once an island, a county and a town. Originally inhabited for centuries by Native Americans, Colonial settlers arrived in the mid-1600s. Nantucket still has 17th century buildings and holds one of America's outstanding inventories of 18th and 19th century architecture with more than 800 structures predating the American Civil War era. Islanders created one of the first historic districts in the United States, which now provides national landmark status for the entire island. The cultural landscape of Nantucket Island, shaped over the centuries through farming and sheep grazing, contains rare and olden fragile environments unique in North America with great historical, cultural and scientific significance. 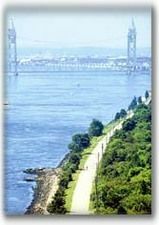 Newport, Rhode Island is home of fabulous mansions, cozy lodgings, colonial history, and great music. 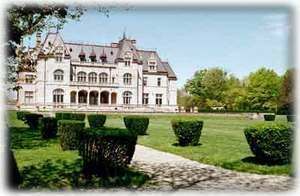 You can live among history from earliest settlers, through the American Revolution, to the great mansions built by 19th century industrialists. You'll find drama on every step of the Cliff Walk and turn of Ocean Drive. There's spectacular beauty among the beaches and harbor. Listen to great performances at the music festivals and sail amid a regatta. Boston, Massachusetts is America's most historic and cultured city, and the adjacent city of Cambridge home to Harvard and M.I.T. 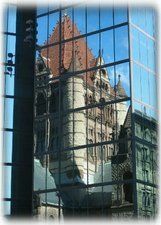 You will find Colonial and Revolutionary history on every step of the Freedom Trail, along the decks of Old Ironsides, charging up Bunker Hill, and on the cobbled streets of Beacon Hill.